Spring into Summer with some great new arrivals in pop, rock, jazz, classical, musical theatre, film soundtracks and opera featuring the following. 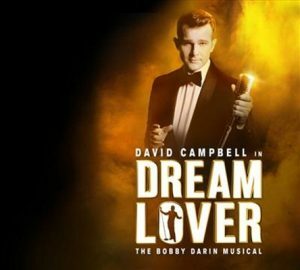 Dream Lover : the Bobby Darin musical : Australian Cast Recording featuring David Campbell. Dream Lover is the Australian Cast Album for the big Summer musical scheduled to open at the Arts Centre this Christmas, following a sell-out Sydney season. It features local singer and perfomer, David Campbell, with an all-star cast of over 40, and an 18-piece big band. Based on the extraordinary story of legendary singer, songwriter and actor, Bobby Darin, the show includes great hits from the 50s and 60s such as Mack The Knife, Beyond the Sea and the multi-million-seller Dream Lover, capturing the glamour of the big band era, Rat Pack in Vegas and Golden Age of Hollywood. Listen to the album. Get your tickets! Turn up the quiet by Diana Krall. Turn up the Quiet is the latest release from Canadian born jazz legend, Diana Krall, on piano and vocals, with band. It features some wonderful jazz standards and songs, beautifully performed, on an album produced the late Tommy LiPuma. Highlights include Night and Day, Moonglow, Blue Skies, Like Someone in Love, and much more. So turn up the quiet on a great jazz release and candidate for album of the year. In opera, Verismo is a recent studio album by acclaimed Russian soprano, Anna Netrebko, who recently toured Australia with tenor husband, Yusif Eyvazov, in concert. He joins her on this recording as well for the very first time. Verismo features great performances of popular arias and scenes from late 19th century Italian opera, by composers such as Puccini, Leoncavallo, Ponchielli, Boito, Giordano and Catalani. 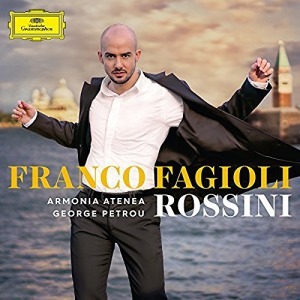 A recording of Rossini arias is the debut album on Deutsche Grammophon by Argentinian countertenor, Franco Faglioli. Amelie : a new musical : Original Broadway Cast. Composed by Daniel Messé & Nathan Tysen. 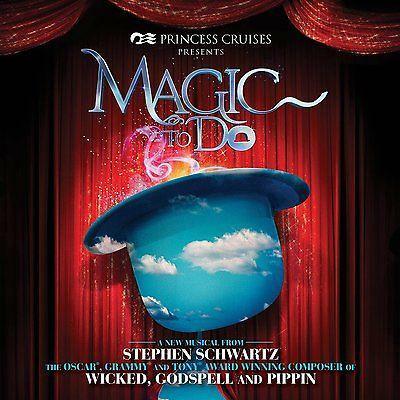 Magic to do : a new musical by Stephen Schwartz : original cast album. 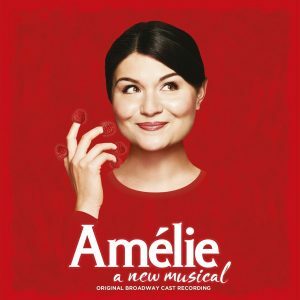 Amelie is the original Broadway cast album for a new musical, based on the 2001 French romantic comedy movie and international box-office hit of the same name, featuring music by Daniel Messe. But this live musical version did not fare as well as the film, closing on Broadway after a brief season earlier this year. 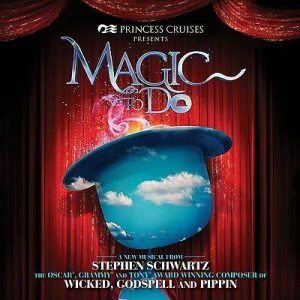 Magic to Do is the original cast album of a musical review featuring the music and lyrics of famed Broadway composer, Stephen Schwartz. First presented by Princess Cruises ships, and originally produced on-board Sea Princess, Ruby Princess, Emerald Princess, the show features popular tune filled songs from Schwartz shows like – Magic to Do & Corner of the Sky from Pippin, Day by Day from Godspell, Defying Gravity from Wicked, and many more. Frenzy : the 50th anniversary collection by Normie Rowe. 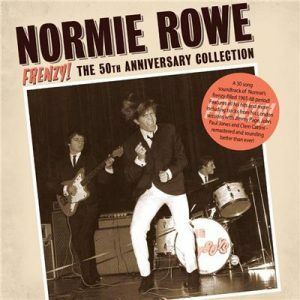 In popular music, Frenzy commemorates the 50th anniversary of Australian music legend, Normie Rowe’s first single – a 30-song soundtrack of Normie’s frenzy-filled 1965-1968 period. The collection features all his early hits such as Que Sera Sera, Shakin’ All Over, Ooh La La and more, remastered. Great classics! 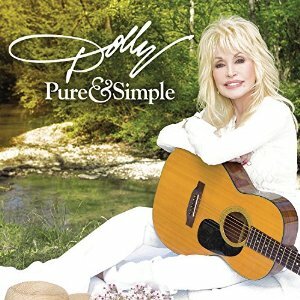 Pure and Simple is the new album by country and popular music legend, Dolly Parton, that also includes an extra disc containing 10 of Dolly’s greatest hits including Jolene, the boppy 9 to 5, Hear you come again, Islands in the stream, and I will always love you. Pure and simple by Dolly Parton. Lion : original motion picture soundtrack. 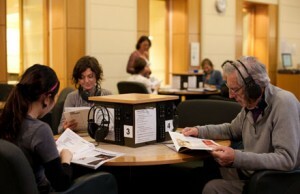 Music by Dustin O’Halloran and Hauschka. Lion is the original motion picture soundtrack to one of the years most acclaimed movies, by Australian Director, Garth Davis, and based on the best seller, A Long Way Home, by Saroo Brierley and Larry Buttrose. 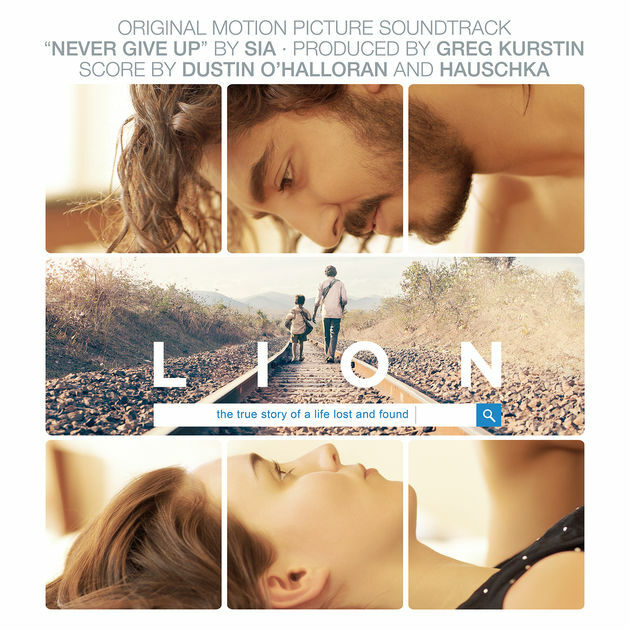 This includes the beautiful atmospheric score composed by Dustin O’Halloran and Hauschka, and the song Never Give Up, composed and performed by Sia especially for the film. Barefoot in the Park ; The Odd Couple : music from the motion pictures, composed and conducted by Neal Hefti. Airport : original motion picture soundtrack. Music composed and conducted by Alfred Newman. Soundtracks also include two 1960s movie favorites. The comedy hit, Barefoot in the Park, based on the Neil Simon play, and set in New York’s Greenwich Village, starred Jane Fonda and Robert Redford as newlyweds, with Mildred Natwick as the bride’s mother and Charles Boyer as an eccentric upstairs neighbor. 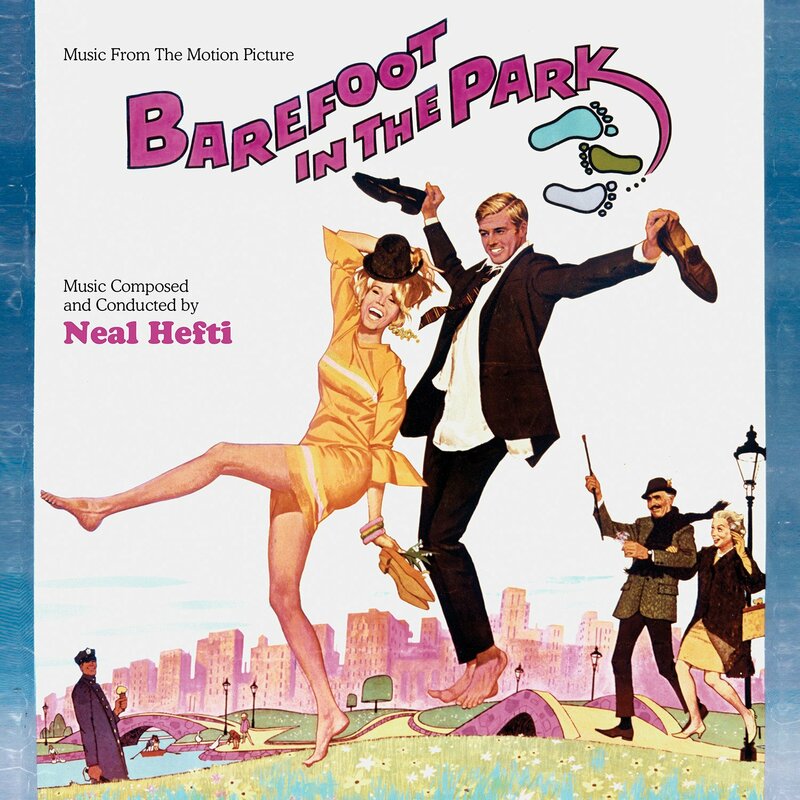 Neal Hefti’s jazz infused, breezy score captures all the joy and fun of this comedy classic. His music for another highly successful comedy, The Odd Couple, is also featured on the same album released by Varese Sarabande this year. 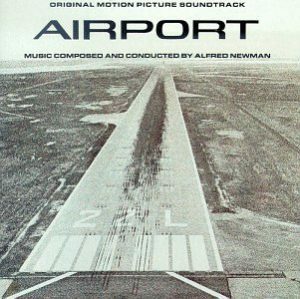 Airport is the dramatic soundtrack by Alfred Newman to the 1970 disaster-drama and box office blockbuster, that paved the way for a series of sequels, and spawned the disaster film genre that became popular in the early 70s with subsequent hits like Earthquake and The Towering Inferno. 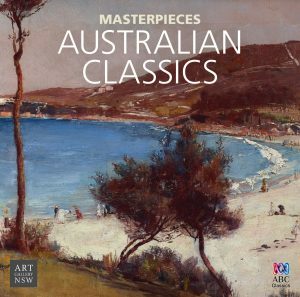 Australian Classics is a compilation featuring music by renowned Australian composers such as Percy Grainger, Peggy Glanville-Hicks, Peter Sculthorpe, Nigel Westlake, Elena Kats-Chernin and more. Cover Art is by Tom Roberts and Brett Whiteley. This album is one in a collection presented by ABC Classics and the Art Gallery of New South Wales bringing together culture through the ages.